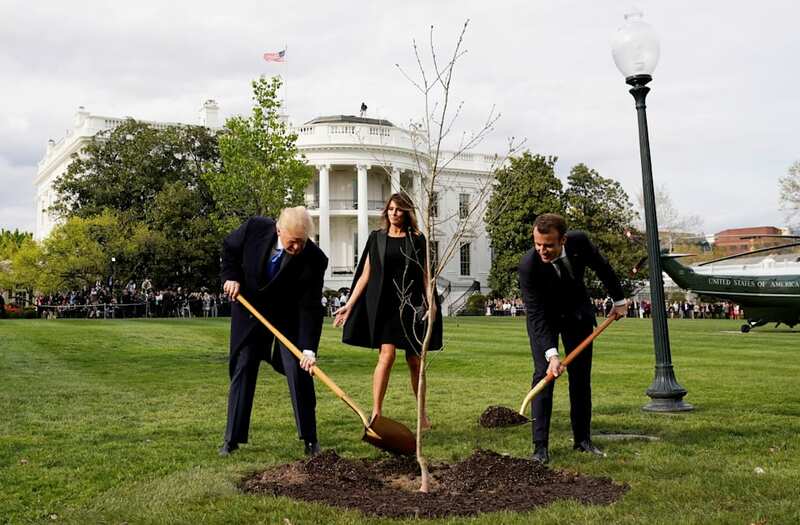 During the state visit last week, French President Emmanuel Macron and US President Donald Trump planted a tree that Macron brought as a gift from a forest in France. The tree had grown where US Marines fought a legendary battle during World War I. 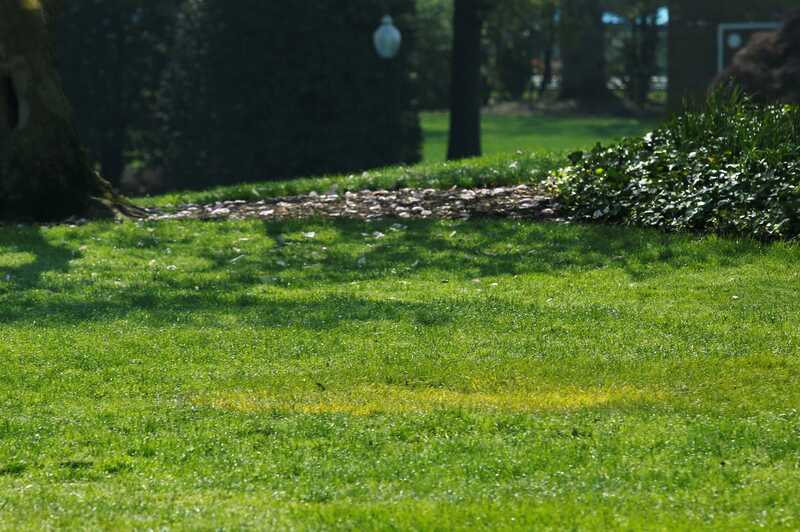 But on Saturday, Reuters photos show a yellow spot where the two leaders planted the tree. 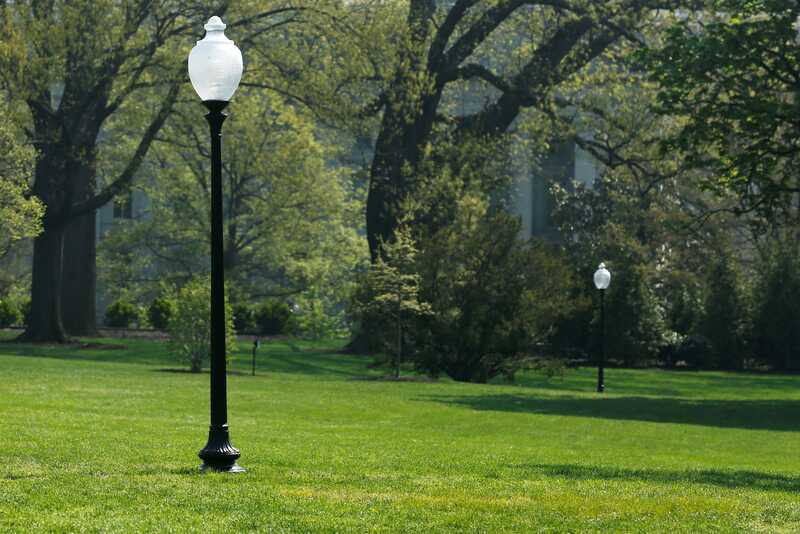 The oak sapling that French President Emmanuel Macron brought from a forest in France for him and US President Donald Trump to plant on the South Lawn of the White House has apparently disappeared. 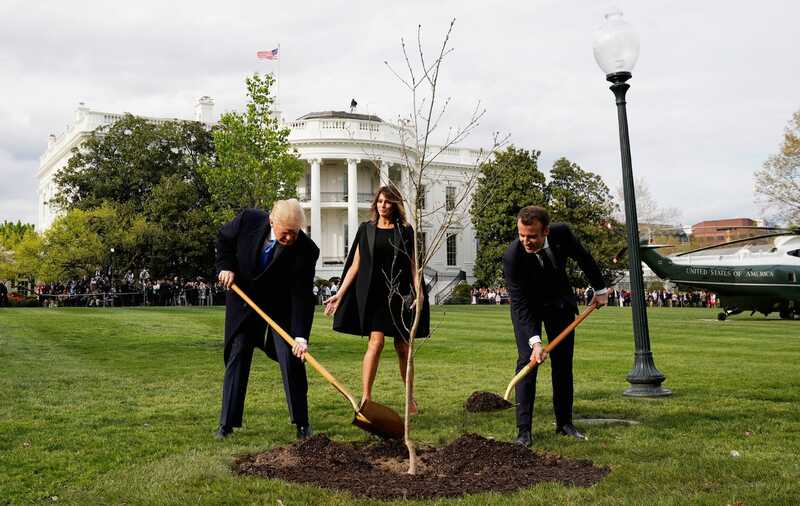 The Daily Mail, BBC News, and HuffPost France speculated that the tree may have been temporarily removed under federal rules since it was an imported plant. An anonymous source from Macron's administration told HuffPost France that US Customs and Border Control requires any imported plant be inspected and undergo a period of quarantine. 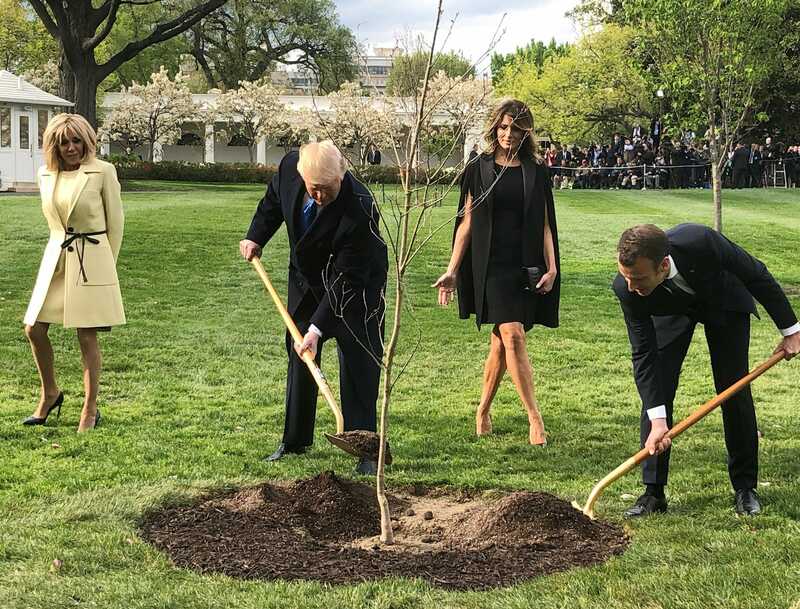 Macron and Trump had planted the tree the day after Macron arrived in D.C.
Business Insider reached out to the White House for an explanation and will update this post if we hear back.